Posted on November 12, 2012 by Hannah B. 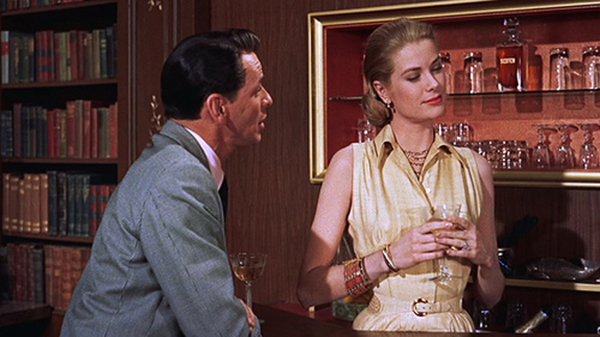 On her birthday, I just couldn’t resist sharing a little Style File from my *very* favorite of Princess Grace’s films: High Society. Two random facts before we start: It was Grace’s last film before becoming princess consort of Monaco. Also, High Society, released in 1956, was a musical remake of 1940’s A Philadelphia Story, which also had a crazy amazing line-up of stars, but we’ll have to get into that another time. 2.) The staple of every home is hidden bar. This one pictured happens to pop out from among the library books… that is, if you know which one to choose! 3.) One never just walks from the dressing room to the pool in their swimsuit. Instead, one glides in a robe that makes them seem like a goddess and disrobes to reveal a suit that is just revealing enough to make one seem untouchable. 5.) Eventually you will have to go home and sober up. This is best done while wearing a yellow silk kimono and lounging in your impeccably decorated boudoir. 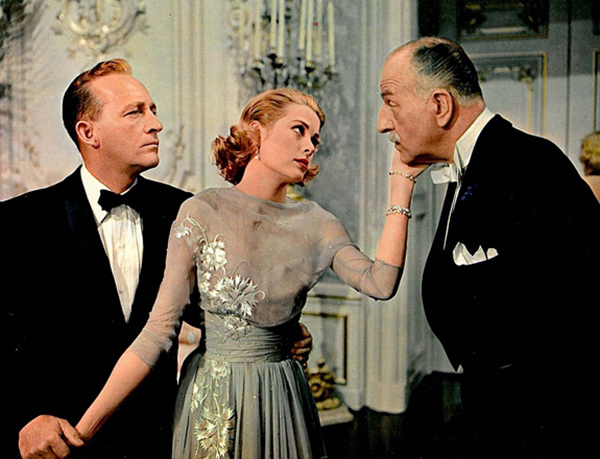 This entry was posted in B's blog and tagged Grace Kelly, Hero, Old Movies, Style File. Bookmark the permalink.